How are we to please God and learn how to do what He tells us is right? 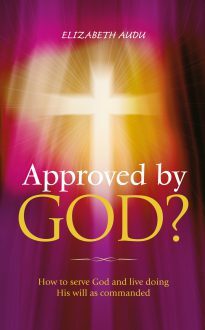 The author sets out for us what God’s approval means and how we can earn it. Quoting extensively from the Bible, she explains the importance of faith, obedience and giving if we are to please God and do His will. This book is a wake-up call to Christians who are not yet on the right path.